The shop looks so interesting from the outside as I always pass by this shop but it is always closed. 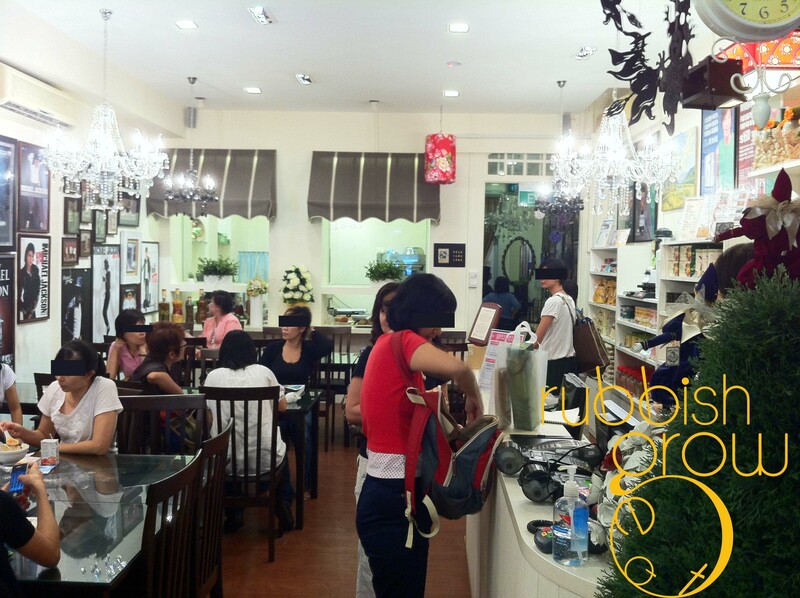 Opened by the radio DJ Dongfang Billy, auntie killer, the shop was packed with aunties at 4pm in the afternoon! I was the only male patron in the shop. By the way, I’m also an auntie killer – so this is like Auntie Killer VS Auntie Killer. The decor is quite bizarre. It’s an eclectic mixture of Japanese, European, Taiwanese style with whitewashed walls, terra cotta tiles, crystal chandeliers, a zen-like little fountain with a bamboo at the corner, with Michael Jackson posters plastered all over the wall, and shelves of organic products for sale. Guess now we know why Dongfang Billy is named Billy? Coz Billy Jean is not MJ’s lover. 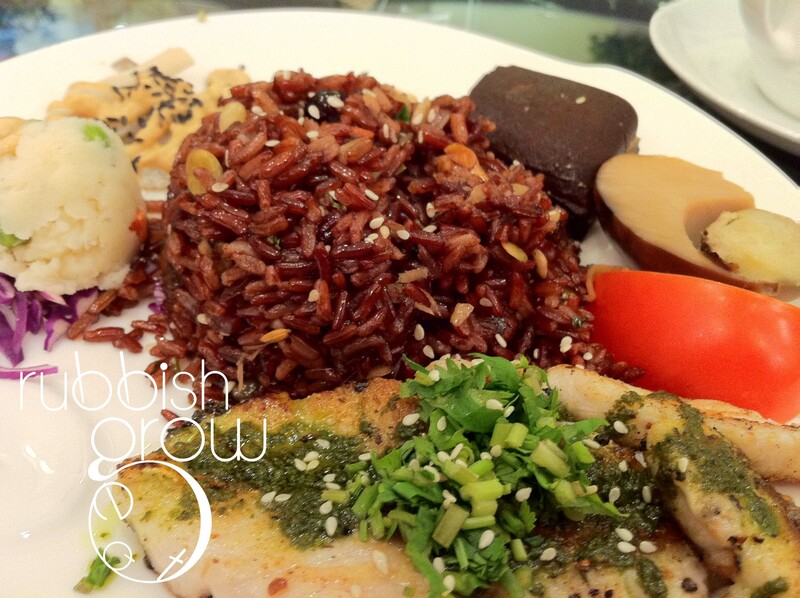 The fish rice ($9.50) comes with braised egg, braised tofu, small salad, mashed potato, grilled fish and brown rice. The almond drink ($4) only comes in hot and consists of –well, you know what it consists of. Almonds? The fish rice was cold and bland. But I suppose that’s the motto of the shop: healthy living without excessive seasoning (Actually healthy food can be delicious too.) 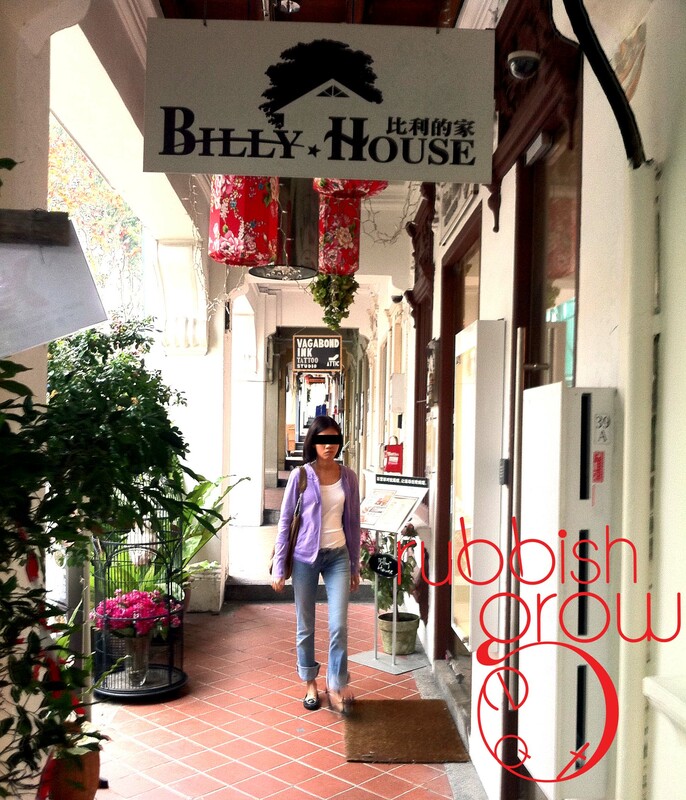 because Dongfang Billy survived cancer, so he’s propagating healthy living. Cashier: Are you a celebrity? Wise Guy: Tay Ping Hui? Wise Guy: Anyway, what time do you open? Cashier: We’re a lifestyle shop actually. In the mornings, we hold exercises in the nearby park in the morning and then they come over for breakfast. We conduct classes too. Wise Guy [thinking]: No wonder can close shop so early…supported by all the taitais. All in the all, friendly service, bizarre decor with many taitais, and cold food. It was actually quite fun. If I pass by again, and it’s open, and I feel like eating cold food and getting insulted, I’d definitely come here. Haha, no seriously, it was fun. Look at my rating, I enjoyed the experience.